[HD video and podcast below] Exclusive interview with three of the top executives at Korean Air. In this interview, filmed at Korean Air's headquarters at Gimpo International Airport on 16 October 2018, Steven Howard asks Mr. Keehong Woo - Executive Vice President, Mr. Sam Noh - Senior Vice President & Head of Cargo Business Division and Mr. Bo-Young (Daniel) Song - Managing Vice President Passenger Network & Sales about the airline and its plans for the future. Korean Air launched flights to Zagreb, Croatia in September 2018, and we ask Mr. Woo how the route is performing and whether the airline has any plans to increase frequency or capacity. We also discuss which new routes, such as Boston, the airline plans to launch in 2019, where in Thailand it will launch charter flights to this winter, and what plans the airline has with regards to its fleet. We discuss the Boeing 787 Dreamliner and the Airbus A350 family of aircraft, and Mr. Woo tells us how the Airbus A220-300 (formerly the Bombardier CS300) has been received by passengers and how its operating costs compare to other aircraft. You will also learn what Korean Air's expansion plans are, whether the airline is planning to order any new aircraft and if so which, plus we talk about what the airline is doing to attract sufficient pilots and whether it has any problems finding sufficient cabin crew. 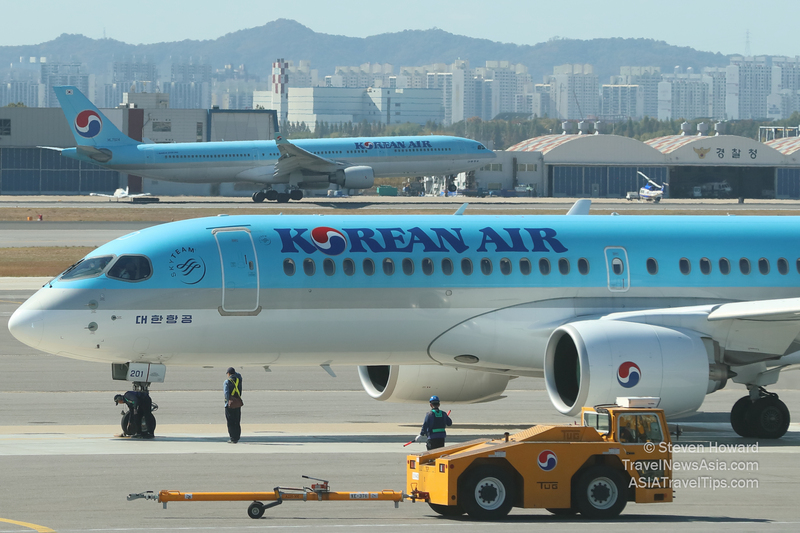 Mr. Noh gives us a brief, but interesting, update on Korean Air's cargo division and tells us why the carrier has been downsizing its cargo fleet and whether it will downsize any further. All this and much, much more in the HD video and podcast below.